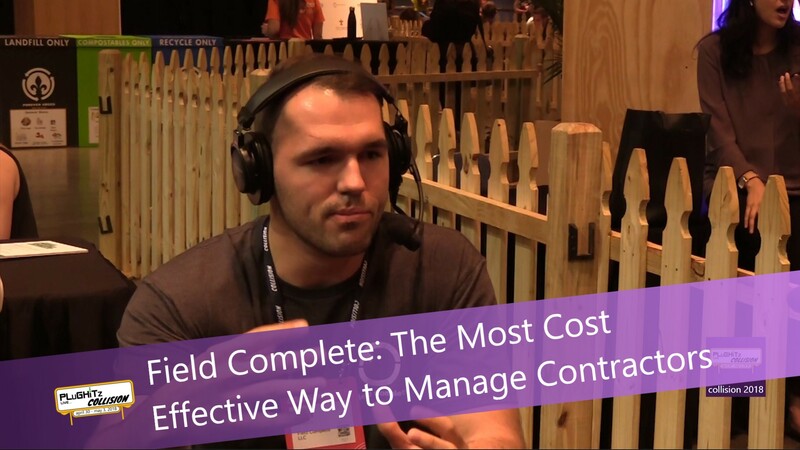 Field Complete makes managing contractors in the field easy and efficient. COO Timothy Tesluck joined us at Collision 2018 to tell us what sets this field management software apart from the others. One of the signature features of the platform, he says, it the fact that that it's "industry agnostic." That means Field Complete can and does handle contractor field services across a wide range of job categories, including property maintenance to plumbing, landscaping, appliance repair, green energy and more. Additionally, Field Complete utilizes a job sharing feature so that companies on the platform can send jobs to each other. Currently being test marketed in Atlanta and Los Angeles, the job sharing feature allows vendors to share jobs across a wide range of industries, streamlining operations to the point where the platform basically becomes a job source for contractors. Uber keeps coming up as the easy analogy for many of the services surfacing at Collision 2018, and it works here, too, as the company looks to release a customer application where a customer can take a photo of whatever is broken in their home, and a verified licensed technician can be at their door in a short time frame. Tesluck points out that the difference between Field Complete and Uber is that his platform empowers the field service industry with the right tools for contractors to compete in an in-demand economy. The company prides itself on the fact that their co-founding team has a combined 50+years of field service management experience, and intimately understands the industry, its needs, and challenges. Field Complete is designed to be user-friendly, utilizes a route optimization feature for dispatchers and contractors, has easy to manage business rules and offers configurable software solutions. From estimating and assigning jobs to contractors, to monitoring and updating field service progress to collecting payment, Field Complete does it all. Visit the company website to learn more.